Six years having passed since he last visited Egypt, the arrival of Mr. Arne M. Sorenson, President and Chief Executive Officer of Marriott International for a three day visit to Cairo was celebrated with a festive welcome dance by the in-house Nubian music and dance group in the lobby of the Nile Ritz Carlton. 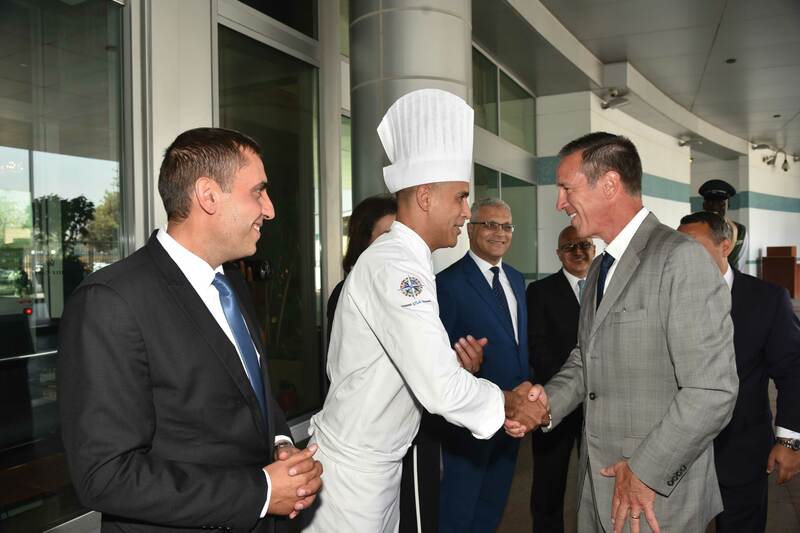 Surrounded by the Ritz Carlton staff and joined by Alex Kyriakidis, President and Managing Director Middle East and Africa Marriott International, Mr. Sorenson took the time to greet and meet each and every member of his expansive team in what was considered a memorable moment by all those present. Mr. Sorenson joined Marriott in 1996, and in 2012 became the third CEO in the company’s history – the first without the Marriott surname. Prior to his appointment as CEO and to his joining the Marriott’s Board of Directors, Mr. Sorenson served in several positions with Marriott International, including President and Chief Operating Officer, Executive Vice President, and Chief Financial Officer. Being a firm believer in eco-friendly hospitality and services, Mr. Sorensen co-founded Marriott’s Global Sustainability Council in 2007, and the following year, launched Marriott’s rainforest preservation partnership with the Amazonas Sustainable Foundation in Brazil. Aligned with the Marriott Group’s commitment to a diverse heterogeneous and non-discriminatory workforce, Mr. Sorenson also chairs Marriott’s Global Diversity and Inclusion Council. The council evaluates Marriott’s strategy to promote a diverse workforce as well as diversity ownership, customer, and vendor communities around the world. Mr. Sorenson last visited Egypt following Marriott’s September 2012 acquisition of Starwood Hotels and Resorts, and this year he came back to touch base with Marriott’s owners/local partners and investors. During this year’s visit, Mr. Sorenson and Mr. Kyriakidis held a signing ceremony at the Nile Ritz Carlton with His Excellency Khalid Atef Abdul Ghaffar, Minister of Higher Education and Scientific Research in Egypt, for the launching of Tahseen, a unique hospitality training program that focuses on fast tracking the next generation of hospitality leaders from Egypt, by providing them with firsthand experience and a springboard to launch successful careers in the industry. The program is being done in partnership with Helwan University and the Professional Development Foundation. 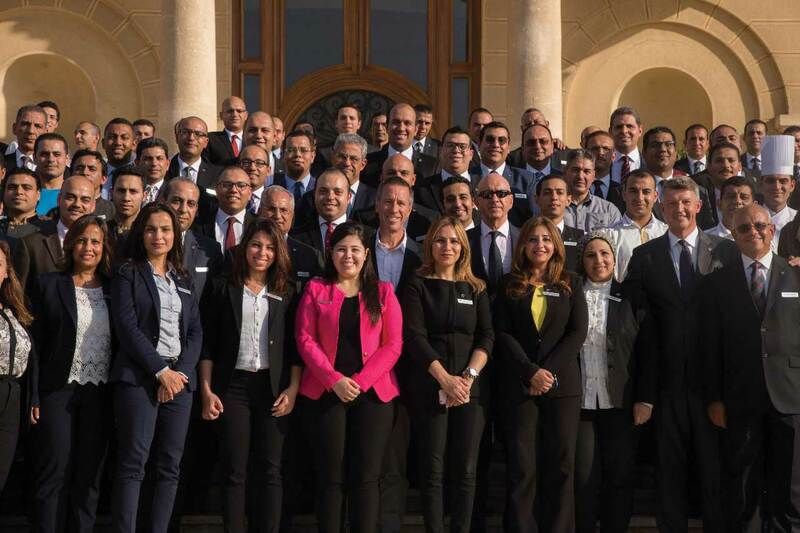 eniGma’s Marwa Sabah got the chance to sit down with Mr. Sorenson and Mr. Kyriakidis to learn more about Marriott’s plans for expansion in Egypt and the challenges and opportunities that lie ahead. How does it feel to be back in Cairo? It’s great to be back in Cairo, it’s been too long since my last visit in 2012. I came here in 2012 to touch base with our associates given the uncertainty at that time as we watched events unfold. Six years later, it’s quite a different environment. There is considerably more stability and optimism today than there was back then. I always come here to discuss with our local partners the possibilities for future opportunities, as this destination has been and will remain important for a long time. 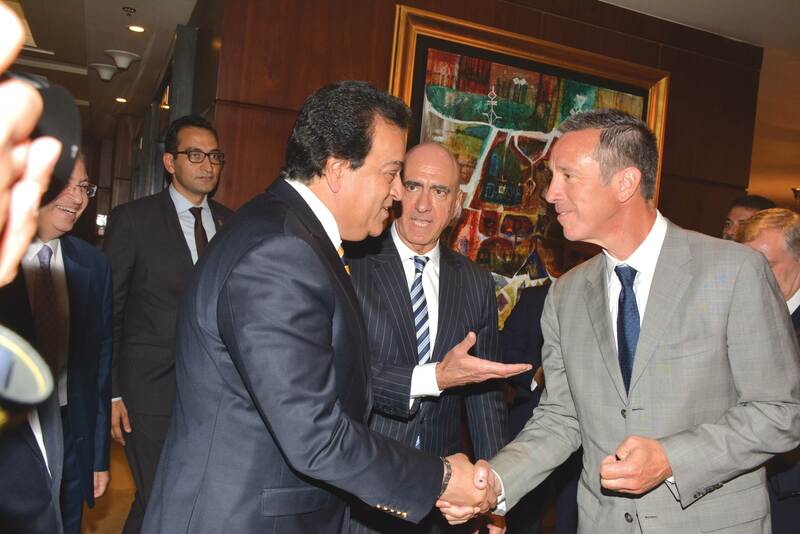 What is the Marriott Group doing to attract high end tourism to its properties in Egypt and the region? What we are trying to do in our space is to make sure that we have hotels around the world to welcome travelers from all over. We want to make sure that our brands are represented, depending on the purpose of the trip and the amount of money a traveler wants to spend. We want to make sure we have a place for folks to stay. 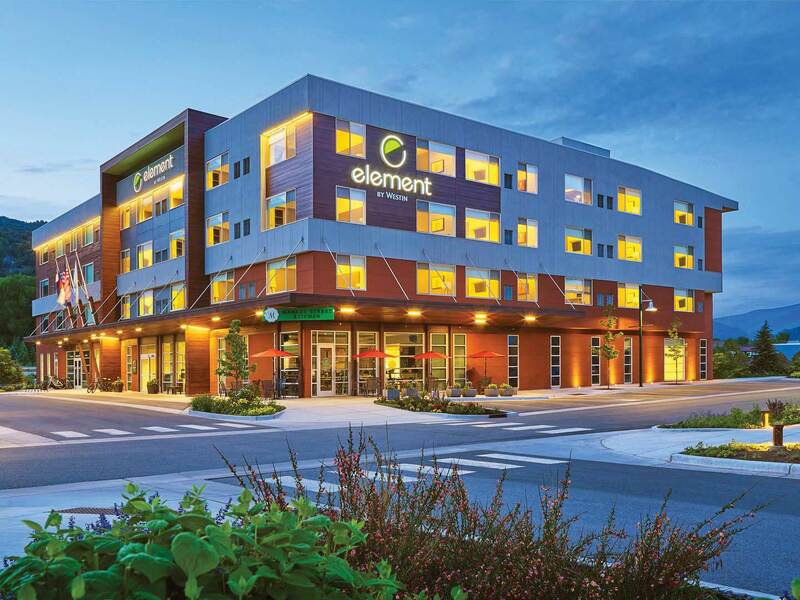 I think in the years ahead, we will bring Marriott brands like Courtyard, maybe Elements Hotel and Residence Inn. 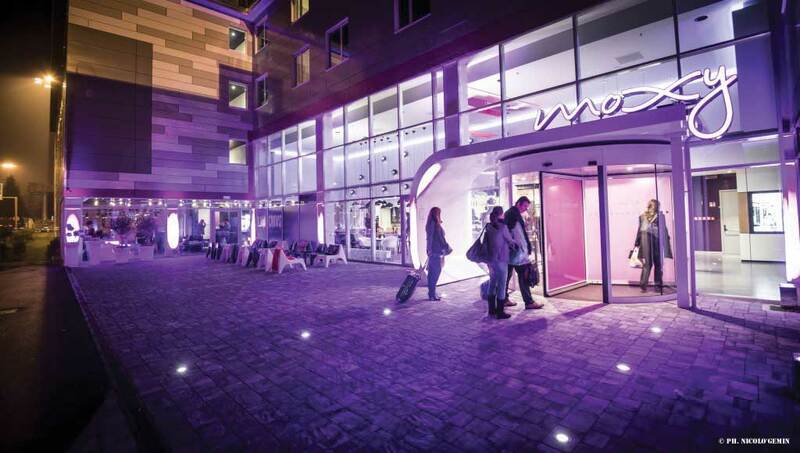 Also it wouldn’t be surprising in the future to see Moxy hotels in the region. This is a lifestyle economy brand in Europe and it is now growing in the US too. I think we’ll see a number of those brands coming here as the tourist numbers move back towards the 14 million and beyond. Where do Marriott Egypt properties rank compared to your other properties and projects in the Middle East and Africa? 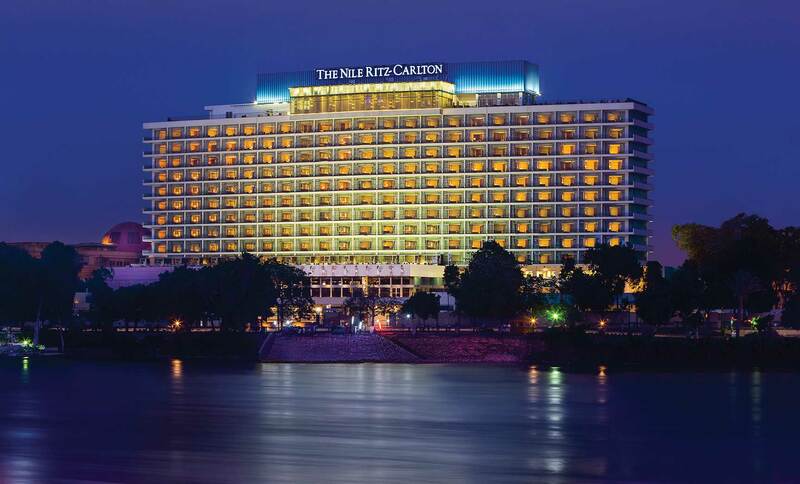 Egypt is probably the second largest branded hotel market after the UAE. The third would be the Kingdom of Saudi Arabia. But I personally believe that the potential for Egypt is more important than is reflected by its ranking. If you look at the Emirates, South Africa, and Egypt, Egypt would be our third market right behind those other two. 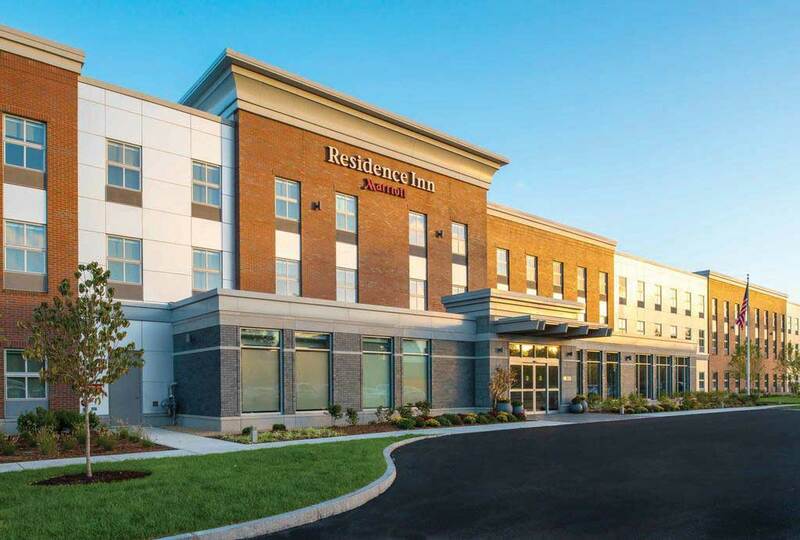 We have been hearing a lot of rumors as to why the inauguration of St. Regis has been delayed. Any news on the opening? We are ready to open. It was really all about completing the work. Now that it’s done. We are staffed and ready to open. Do you have any concerns inaugurating new projects over the upcoming period, especially in Sharm El Sheik? Right now we are seeing a surge of interest in hotels led by both the government and the private sector, predominantly in the new cities, notably in Alamein and the new Capital City. These are projects where the government is saying, we are going to invest, we are going to make these things happen, come and talk to us about hotels. Then there’s Sharm El Sheikh. I think the challenge with Sharm el Sheikh today is the air lift. We don’t have the air lift like we did before, and we certainly need it again. We’re meeting the Egyptian Minister of Tourism tonight and the key message still is, please help us open up the skies. The message to the Minister of Aviation, is the same, please help us bring tourism back to Sharm El Sheikh. I think the way to go with Sharm El Sheikh, is to reinvent it; create a new Sharm el Sheikh that would begin to attract upscale travelers. The perception today, with the exception of the Four Seasons Hotel, is that it’s actually a low class destination, and the economics of that are challenging to an owner. Hence, we need the air lift from the government. If we get the air lift we can surely make things happen. We have many investors who want to invest in Egypt, especially from the Gulf area. Investors are very keen. 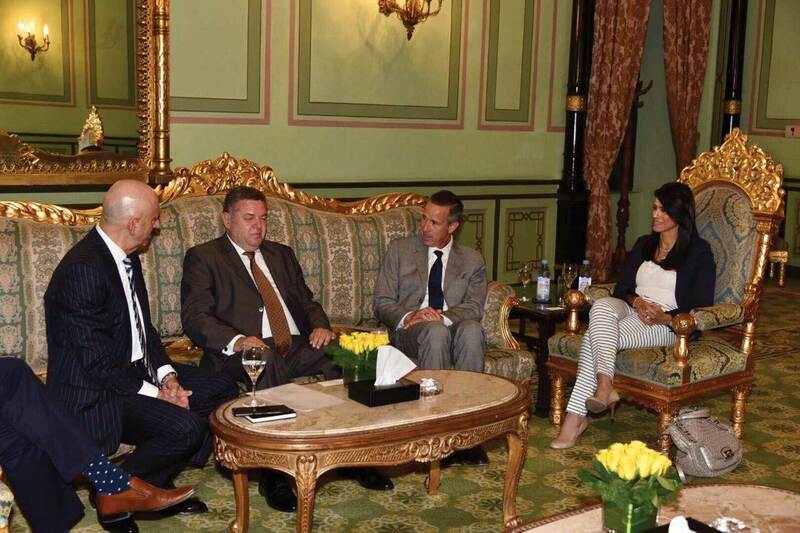 Sharm El Sheikh will come back naturally, if we manage to stimulate the market again with more in bound flights. Today, there’s just one flight from Russia, I believe. There are no British or German flights yet since they left. If we can get them back, I can assure you there is pent up demand for investment in Sharm El Sheikh. Given Marriott’s association with historical properties, are there future plans to invest more in Upper Egypt- Luxor and Aswan? We will discuss with our owners how can we develop in Upper Egypt. We definitely need to be there, specifically in Luxor and Aswan. These destinations are of very high priority right now. We have high priority development opportunities under discussion with several potential partners.